At Turning Point Hypnosis Denver, I want to make sure you have the information you need to make an informed decision about quitting smoking. The decision to stop smoking is one of the most important decisions that you will ever make. Electronic cigarettes, seen by many as a healthy alternative to tobacco smoking, do cause damage to the lungs, scientists from the University of Athens, Greece, explained at the European Respiratory Society’s Annual Congress 2012, Vienna, on Sunday. 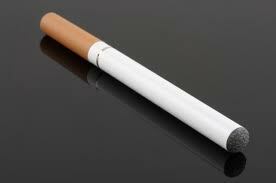 Electronic cigarettes, also called e-cigarettes have also been marketed as effective smoking cessation devices. Professor Christina Gratziou and team set out to determine what the short-term effects of smoking with e-cigarettes might be on different individuals, including those with no known health problems, as well as existing smokers with and without lung conditions. They carried out experiments on 32 volunteers; of whom 8 were lifetime non-smokers and 24 were current regular smokers. Some of them had healthy lungs, while others lived with asthma or COPD (chronic obstructive pulmonary disease). They were asked to use an electronic cigarette for 10 minutes, inhaling the vapors into their lungs. A spirometry test, as well as some others diagnostic procedures were used to measure their airway resistance. Airway resistance is used in respiratory physiology to measure the resistance of the respiratory tract to airflow coming in during inspiration (inhalation) and going out during expiration (exhalation). Non-smokers – even among lifetimes non-smokers, using an e-cigarette for ten minutes raised their airway resistance to 206% from 182% (mean average); the researchers described this as a “significant increase”. Current regular smokers – among existing regular smokers, the spirometry tests revealed a significant rise in airway resistance to 220%, from 176% after using one e-cigarette for ten minutes. “We do not yet know whether unapproved nicotine delivery products, such as e-cigarettes, are safer than normal cigarettes, despite marketing claims that they are less harmful. This research helps us to understand how these products could be potentially harmful. Turning Point Stop Smoking Hypnosis Denver makes it easy… let me make easy for you all you have to do is pick up the phone, make an appointment for your FREE screening and keep that appointment. From that moment on your smoking problem is solved.